Medical providers are under a great deal of pressure from many different directions these days. Providing medical care for many hours each week can sometimes be very taxing on a provider's emotional health, physical well-being, and spiritual health. If you're in the medical profession, you may already know that the U.S. statistics on physician burnout and suicide are far from encouraging. Every year it takes one or two graduating medical school classes to replace the physicians who die from suicide during the year. Why is that? Why is this so rarely talked about in the public conversations about our medical system? And why are these physicians not being helped adequately by the existing care options? Today, it seems that many physicians are more often experiencing their job as a stream of headaches related to insurance company negotiations and software screens, and less often as a meaningful expression of their original passion to care for people. Many medical providers also tend to hold themselves to very high standards, maybe unreachable standards, both at work and elsewhere. In addition to these factors, the combination of high student loans, longer work hours, increased time-pressure, uncertain payment, and sleep deprivation can very often lead medical providers to experience depression and other related symptoms. Our practice supports medical practitioners to feel their best, maintain their energy and focus, and make steps towards a more balanced work and home life. We are passionate about helping you to revitalize your life and see a positive future for yourself and your work, as well as your family, friendships, and significant relationships. 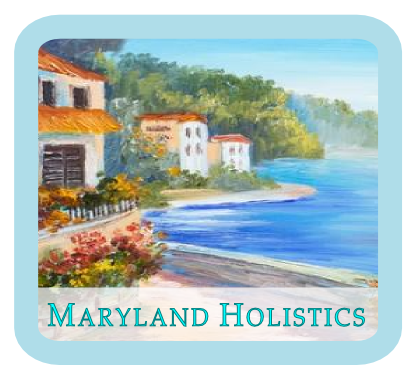 Our serene professional offices are located in Ellicott City and in downtown Silver Spring. We schedule only one patient per hour, so our patients always receive a very personal level of attention. Most of our sessions include services such as coaching, meditation training, nutritional consultations, and acupuncture. By request, we can also provide coaching services by telephone. The results that we produce for our clients arise not only from our particular treatment methods, but also from our unique philosophy on care. As care providers, we know that our jobs have meaning when we have been able to help someone lift their spirits and improve or recover their health. If you are interested in our services, it would be an honor to participate in your healing journey. After listening carefully to the details of your situation, we would design a treatment approach, as unique as you are, to gently and safely guide your body, mind, and spirit toward well-being. Along the healing journey, its also good to remember that there is an important type of strength which can come from building or connecting to a community with a common purpose. A community of friends and supporters can be started with simple acts, such as a simple hello or picking up the telephone. Perhaps in community we can accomplish more for the benefit of medical providers, the medical professions, and the people they serve.